ALVA, Okla. – The time that Denton Mars and Chase Finnell have spent around professional rodeo cowboys is paying off at the college level. 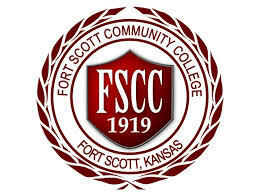 Mars and Finnell utilized a strong short-round run this past weekend to win the team roping title at the Fort Scott (Kan.) Community College rodeo. It was a big step for the Northwestern Oklahoma State University freshman competing in their inaugural year of the Central Plains Region. They also have the opportunity to gather a grand education, whether it’s on the Frontier ranch or on road at Frontier rodeos. “Getting out there when your young and learning horsemanship really helps your roping,” Mars said. The duo has also learned to handle the challenges that come their way. Take the Fort Scott rodeo, for example. After having a long time on their first run, they won the final round by stopping the clock in 7.6 seconds. Eight of the 10 final-round were saddled with no-times, so Mars and Finnell moved up the food chain. That secured their spot in the short round, but they were a long way from the leaders. It worked. In fact, they got a little advice from Don Gay, an eight-time world champion bull rider who serves as Frontier’s general manager. It turned out that the champ’s advice came in handy. But Northwestern had plenty of success in southeastern Kansas. Mars and Finnell were just two of many contestants that scored valuable points for the Rangers. Riley Wakefield of O’Neill, Neb., won the all-around title and extended his lead in the Central Plains Region’s all-around race. He finished third in tie-down roping and fourth in steer wrestling. Cassy Woodward of DuPree, S.D., won the barrel racing title – she won the first round in 12.33 seconds, then was second in the short round with a 12.34. Her cumulative time on two runs gave her the overall championship. Team ropers Kass Bittle and Jaydon Loubhon were 7.1 seconds to finish third in the long round and fifth in the average, while header Dylan Schulenberg was 7.6 with his partner to finish in a tie for third in the first round and sixth in the average. Like Wakefield, Grayson Allred scored well in tie-down roping and steer wrestling. He was fourth in tie-down roping and sixth in bulldogging. Taylor Donaldson scored a sixth-place finish in tie-down roping’s first round. In steer wrestling, Bridger Anderson finished second in both rounds and the average, while Jace Rutledge and Colton Brown earned first-round points – Rutledge was fourth and Brown sixth. While Woodward led the Rangers women, there were six other cowgirls who scored points. Kayla Copenhaver placed in both rounds of barrel racing, and her two-run cumulative time of 25.11 seconds pushed her to a third-place finish overall. Goat-tier Melissa Couture placed in both rounds and finished sixth in the average, while Meghan Carr finished fifth in the opening round. Alyssa Gabrielson was fast in breakaway roping, stopping the clock in 5.9 seconds in two runs to finish second. Taylor Munsell also placed in both rounds to finish fourth in the average Brittany Cudworth was 2.7 seconds to finish in a tie for third place in the long round with Gabrielson. For Mars and Finnell, Fort Scott was the culmination of their years working together and roping together. The two started roping together in high school, and they’ve carried over a solid bond to the collegiate level.